Meanwhile in Europe, a debate rages over the future of the great project of European Union. Europe is racked by high rates of joblessness, especially among the young. Many European leaders - fortified by the advice of many economists Ð are determined to make their labor markets more 'flexible,' to better follow what they believe to be the 'American model.' In most cases, this means adjusting wages so that workers with low skills receive less pay and enjoy fewer social protections. In this way, Europe's leaders claim to hope to make such workers more attractive to hire, and so reduce unemployment. But European electorates are unhappy and distrustful. The French and the Dutch have even voted to reject the European Constitution, largely from fear that the new Europe would weaken the role of national governments in the social sphere. Globalization, privatization, deregulation and competition are turbulent and troublesome forces, and it is perhaps not surprising that many would prefer to keep them at bay. But beyond this, it appears that many ordinary Europeans simply do not believe that the solution to unemployment lies in cutting wages. None of this is new. Ever since the 1930s, the question of whether and how the government should take an active role to fight unemployment, to promote economic expansion, and to protect the living standards of working people has been hotly debated. The lines of argument are broadly the same now, though with variations and innovations, as they were then. The divisions and disagreements are broadly the same. It is mainly the circumstances, the facts, and the personalities that have changed. 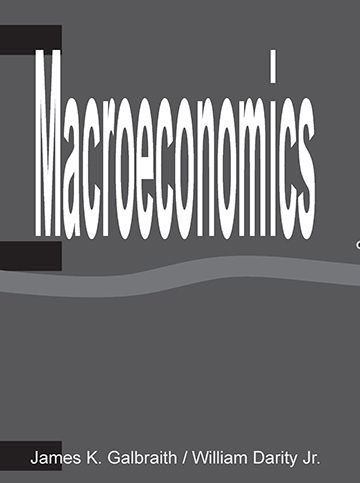 Employment, growth, inflation, interest rates, deficits, exchange rates and globalization are the substance of modern macroeconomics. You have no doubt encountered all of these words before. But what do they mean? How do they interact? What are the chains of cause and effect between policy instruments, like the interest rate, and policy outcomes, such as unemployment? If you are new to this subject, very likely you have no clear idea. That is about to change. We believe - anyway we hope - that you won't regret it.